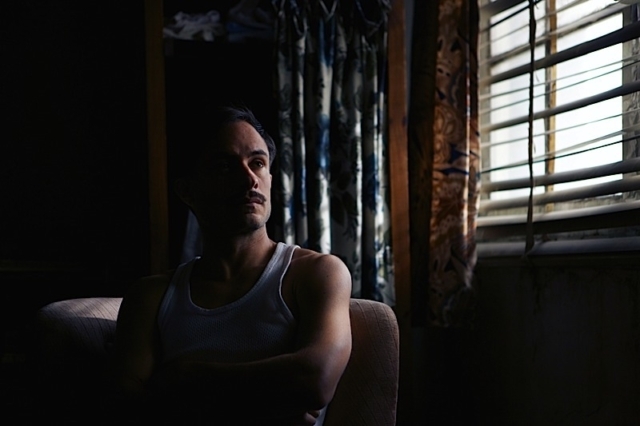 Filmmaker Pablo Larrain takes liberties with the life of Chilean poet and senator Pablo Neruda and, in doing so, he has created an exquisite meditation on how entrenched political views affect our psyches, on both the left and right. The story begins in 1948 when Neruda’s Communist Party is banned by Chilean President Gabriel Gonzalez Videla, which compels the poet into fugitive status. Though Neruda, played with reckless abandon by the terrific Luis Gnecco, is the underdog, his hedonistic character traits could make you reconsider his credibility. Screenwriter Guillermo Calderon has masterfully shaped the contradictions of his self-indulgent protagonist, a bigamist and womanizer who dabbles in intimacy with queer folks, yet has the common touch. He is both a man’s man and a lady’s man. An intellectual alpha male who eloquently articulates how capitalists exploit the peasant classes while he sets his libido on available women. Poetry recitation, fame, and charm are his aphrodisiacs. You might compare him to a contemporary rock star, complete with screaming female fans and working males reminiscent of sports fans. In one arresting scene, a drunken woman who seems to be a fan confronts him in an expensive restaurant. You can’t really tell if she is praising him or reading the riot act. Is she embracing or mocking the communist philosophy? As a defense mechanism, he shrewdly distances himself from unfolding actual downturns in his life by continually assessing his life as a play or novel with himself as the central heroic figure beset by antagonistic fascistic forces. 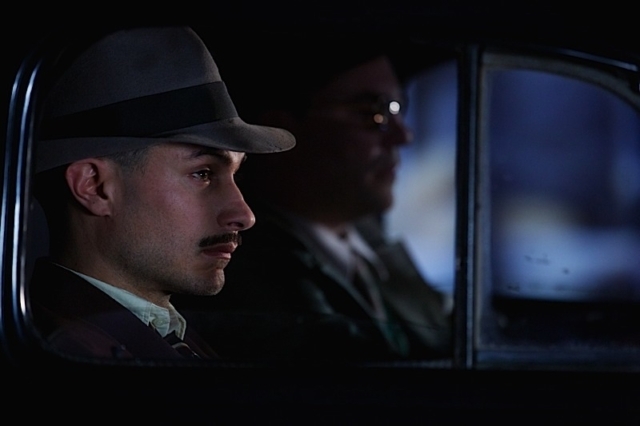 However, perhaps the miraculous element in Neruda is the creation of a fictitious detective character named Peluchonneau. Calderon has written him with a narrative voice that is poetically literary with echoes of Raymond Chandler. Filling this stylish role is Gael Garcia Bernal in a beautifully weighted performance that is at once agile and smoldering. This is a macho disciplined everyman, born into poverty, the son of a prostitute, with an axe to grind. However, Peluchonneau refuses to see himself as a victim defined by Marxian labels. He signals the upcoming dark era of general and eventual dictator, Augusto Pinochet. Though Calderon and Larrain do not validate the values of this detective, they make us understand how such a man can come into being. Moreover, it is a high point in the ever-dashing Bernal’s remarkable career.